Halley (to the left) and Celeste (to the right) love little more than music (and food. and traveling. and sleeping. and free things. natural light’s OK too.). The sisters, though sadly separated by geography (Celeste in the windy city, Halley in the nation’s capital), are forever linked by good musical taste and genetics. Despite the distance that lies between them, they’ve managed to see a few epic concerts together (think Lillith Fair back in the day and a personal NYC sidewalk serenade by the Orion Experience) and several of the same artists in different cities (think Tune-Yards, Foster the People, Darwin Deez, and Jukebox the Ghost… the latter 8 times combined!). 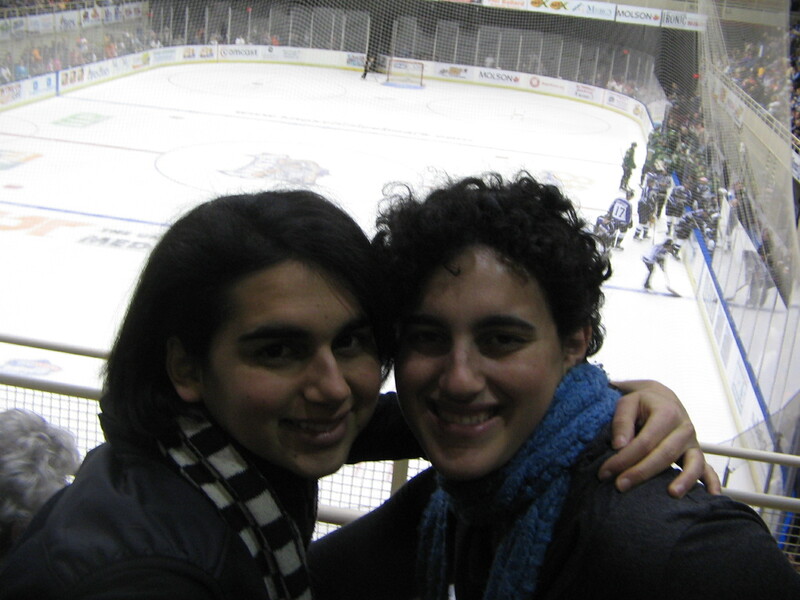 When not attending concerts, the sisters are traveling together (this picture shows them at a thrilling amateur hockey game in Knoxville, Tennessee), going to skool, working for Science (Celeste) and the Man (Halley), and being super cool by updating their goodreads accounts and getting to bed before midnight. Try not to be too jealous of them – not everyone can be this glamorous.